Cut beef into bite-size pieces if desired. In 3- to 4-quart slow cooker, mix all ingredients except mixed vegetables. Stir in mixed vegetables. Increase heat setting to High. Cover; cook 20 to 30 minutes or until vegetables are crisp-tender. 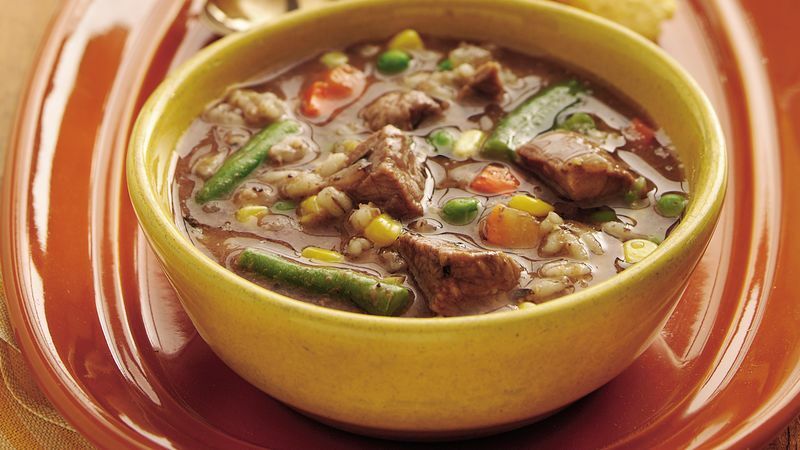 Stew meat pieces vary in size from store to store. If the pieces are large, cut them in half. Purchase a bag of chopped onion to keep in the freezer. Take out just what you need to save chopping time.